Officials with the Occupational Safety and Health Administration (OSHA) recently unveiled a new educational online resource, Worker Safety in Hospitals, to help hospital workers to avoid injuries, implement safety and health management systems, enhance safe patient handling programs and assess workplace safety needs. “These new materials can help prevent hospital worker injuries and improve patient safety, while reducing costs,” said Dr. David Michaels, assistant secretary of labor for occupational safety and health. Our Cambridge workers’ compensation lawyers understand that there were close to 20 hospital workers killed on the job in 2012. According to the U.S. Bureau of Labor Statistics (BLS) there were roughly 235,700 workers who were injured on the job in the same year. This is almost twice the rate for private industry. Many of these accidents, injuries and fatalities could have been prevented with better work practices. Nationwide, workers’ compensation losses resulted in roughly $2 billion in 2012 for hospitals. Reports indicate that the likelihood of injury or illness resulting in days away from work is higher in hospitals than in construction and manufacturing — two industries that are traditionally thought to be relatively hazardous. -Overexertion and bodily reaction (48 percent). -Slips, trips and falls (25 percent). -Contact with objects (13 percent). -Exposure to substances (4 percent). -Sprains and strains (54 percent). -Cuts and punctures (3 percent). -All other injuries (4 percent). The average workers’ compensation claim for a hospital injury between 2006 and 2011 was more than $15,000. Among the 35 million health workers worldwide, about 3 million receive percutaneous exposures to bloodborne pathogens each year; two million of those to HBV, 0.9 million to HCV and 170,000 to HIV. These injuries may result in 15,000 HCV, 70,000 HBV and 500 HIV infections. More than 90 percent of these infections occur in developing countries. 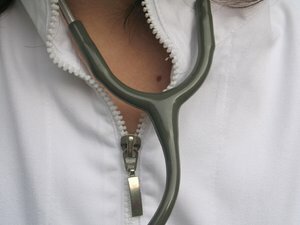 The truth of the matter is that the ones who are hired to take care of us when we’re sick of have been injured face dangers and risks on the job, including lifting and moving patients, workplace violence, slips and falls, exposure to chemicals and hazardous drugs, exposures to infectious diseases and needlesticks. Developing management systems for worker and patient safety is the best way to prevent worker and patient injuries, “so it’s certainly very much connected” to the Injury and Illness Prevention Programs rule that OSHA intends to propose at some later date, Michaels said. Caregivers feel an ethical duty to “do no harm” to patients, and some will even put their own safety and health at risk to help a patient. It’s time we help to educate them about the common risks associated with their workplaces and help them to create ways to avoid these risks. And that’s exactly what the Worker Safety in Hospitals was created to do. Inadequate Training: Leading Cause of Temp Worker Injury, January 6, 2014. Massachusetts Teens and Seasonal Employment, December 22, 2013.